Small White, or Small Yorkshire, Pigs were a breed of pig originatingrnin the United Kingdom. They were common during the nineteenth century. 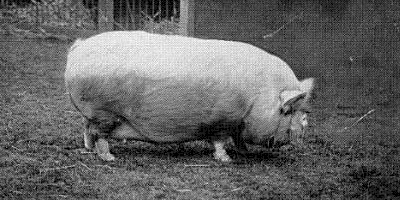 However,rnthey are now extinct, but their characteristics were used in producing the MiddlernWhite and other swine breeds.